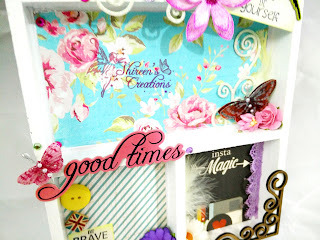 A wonderfully decorated shadow box. 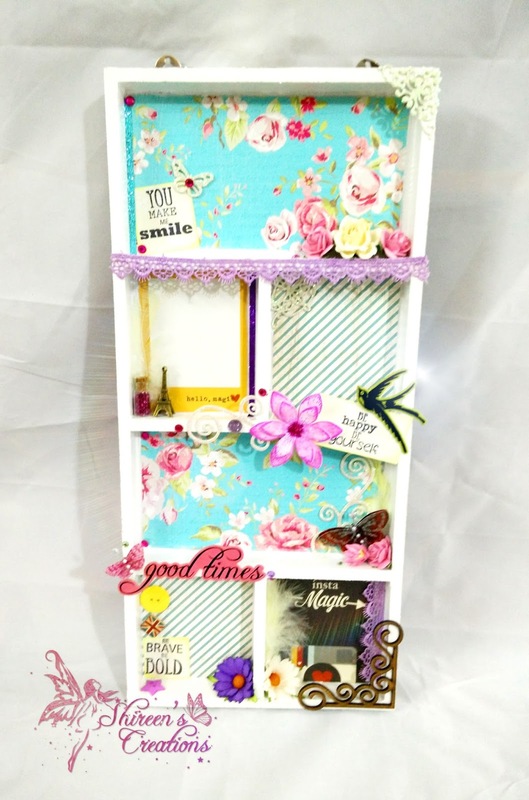 The papers and embellishments are lovely. 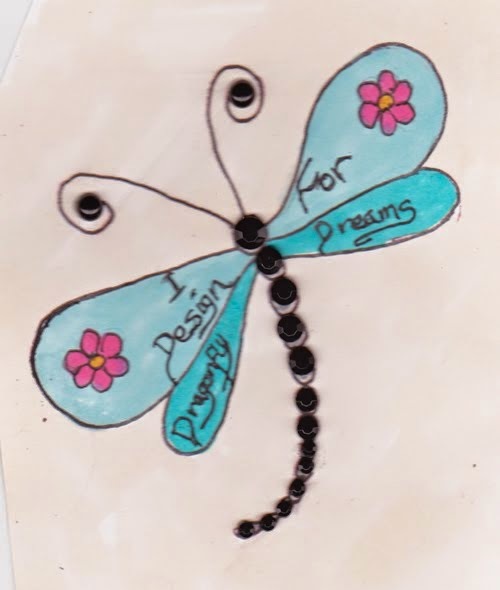 You made a wonderful project but you didn't use the flowerdies of Marianne Design. That is what our challenge means: Use flowerdies of Marianne Design on your project of card. 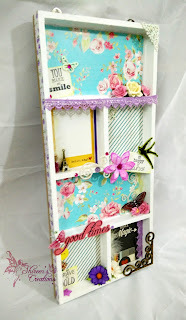 A very beautiful shadowbox here, it looks amazing and soo beautiful with all the bright colors, you´ve used on it. 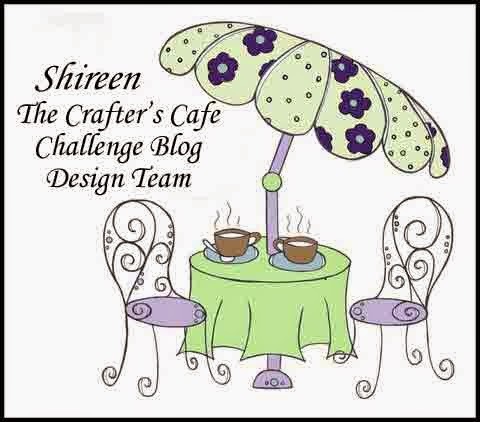 Thank you for joining us at Creative craft cottage ! 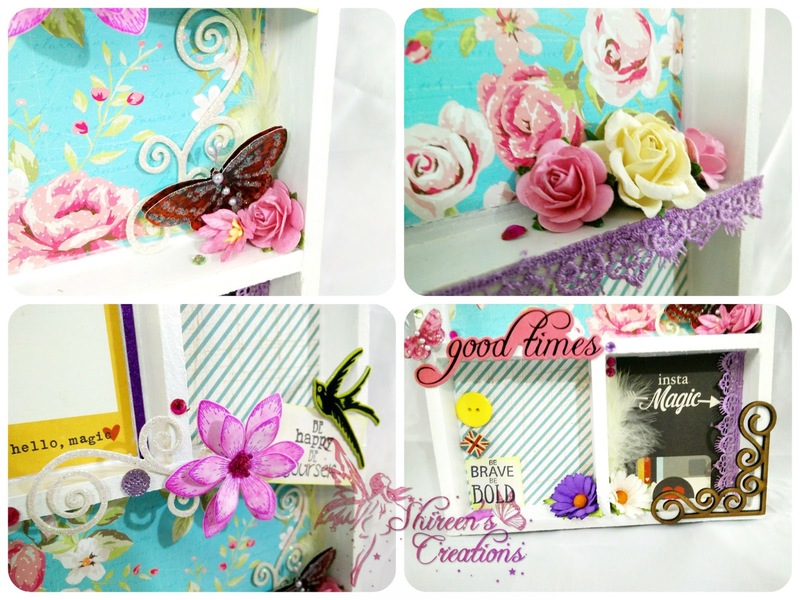 Thank you for joining us at crafty hazelnuts patterned paper ! Beautiful! A lot of work obviously went into this, and it's so worth it. Thanks for joining us at Naughty or Nice Challenges! very original project, very creative and fabulous bright colors! 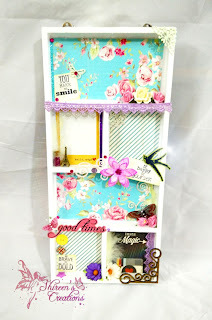 thank you so much for sharing at Paradise of Stamps! Thanks for playing along at Altered Eclectics. What a gorgeous project here it is beautiful. Thank you for entering the World Wide Open Design Team Challenge #05 and best of luck with your entry. Hugs Andrea DT.